What are the chances of pregnancy in women on dialysis? Usually not good. Pregnancy in a woman on dialysis is rare. Fertility, the ability to become pregnant, is significantly reduced in women on dialysis. This is because having advanced kidney disease can decrease the ability to ovulate, which means the eggs are not released from the ovary and cannot be fertilized. Some women on dialysis do not menstruate, and if they do, they have irregular menstrual cycles. Overall ill health and anaemia (not enough red blood cells) can also lead to decreased sexual activity. While it is rare, women on dialysis can become pregnant. If a woman of dialysis becomes pregnant, she has a high risk of miscarriage. However, of those who become pregnant and progress through the first trimester, about 50 percent are successful. What are the risks and complications for babies born to mothers on dialysis? Babies of mothers on dialysis are at high risk of being born premature ( born too early, before 37 completed weeks of pregnancy). A quarter of them is severely premature. Premature babies have low birth weight and some are small for gestational age. 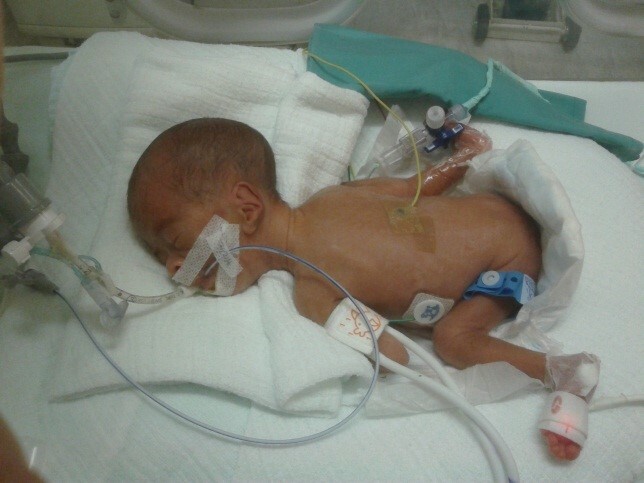 Premature babies have immature lungs and are unable to breathe on their own. Most of these babies need to be admitted to the neonatal intensive care unit. What are the risks and complications for pregnant women on dialysis? Many kidney disease patients have hypertension (high blood pressure), which tends to get worse in pregnancy. Once a woman becomes pregnant, high blood pressure often causes problems. Uncontrolled high blood pressure is the major risk for pregnant women on dialysis. Hypertension is a major cause of prematurity (due to poor blood supply to the baby via the placenta), and can be life-threatening for mother and baby. These are serious conditions that can cause a build-up of excess water in the body ( especially the lungs), bleeding disorders and convulsions. The only way to control these potentially life-threatening conditions is to deliver the baby as soon as possible. This is often required well before term, and will need to be by Caesarean-section. Uncontrolled blood pressure can also cause strokes. Is pregnancy recommended for women on dialysis? Pregnancy in a woman on dialysis is considered a high-risk pregnancy. Pregnancy is generally not recommended for dialysis patients. Dialysis patients desiring pregnancy should be advised to delay until after kidney transplantation if they already have a potential kidney donor. If a woman on dialysis wishes to have a baby or discovers she is pregnant, she should talk to her doctor about her individual condition. Her doctor will be able to explain the risks involved and be able to provide guidance to increase the chances of keeping the woman healthy and to help her carry her baby to term. 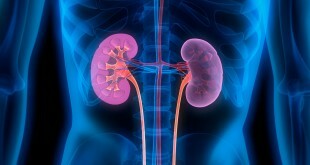 Healthy kidneys work 24 hours a day, every day. During pregnancy, the baby releases waste into the mother’s bloodstream and healthy kidneys would work harder to maintain the blood clean. However, hemodialysis is only about 12 hours per week and replaces only a portion of kidney function. The body of someone on dialysis has a higher level of waste products than a body with good kidney function. Having extra wastes in the body makes it harder for the baby to develop as he/she should. In addition, there is a higher risk of polyhydramnios. Polyhydramnios is a condition where there is excess fluid surrounding the baby due to excessive urination by the baby carried by a woman with a high level of waste products in her body. Are there any changes in the care of women on dialysis during pregnancy? When a dialysis patient becomes pregnant, she requires extra care and attention. She will be closely monitored by a team consisting of obstetricians, nephrologists (kidney doctor), dialysis staff and dietitians experienced in high-risk pregnancies and kidney failure. How often should a pregnant dialysis patient do dialysis treatments? To decrease maternal complications and to increase baby survival, a pregnant woman on haemodialysis would have to change her haemodialysis schedule. The frequency of her dialysis treatments should be increased from three times to five or six times per week depending on what her doctor suggests to keep the blood as clean as possible and to maintain fluid balance. More frequent dialysis is gentler on the mother’s body. Blood pressure control is also better with more frequent dialysis. More frequent dialysis allows the expectant mother to enjoy a varied and healthier diet. For Peritoneal Dialysis patients, the number of exchanges has to be increased. Blood pressure needs to be tightly controlled. This can be achieved with daily dialysis and blood pressure medications. Blood pressure medications must be adjusted to protect the baby. Certain classes of blood pressure medications, such as Angiotensin Converting Enzyme Inhibitors and Angiotensin Receptor Blockers have to be avoided in pregnancy. These medications had been associated with impaired fetal growth and birth defects. Patients with chronic kidney disease often have anemia due to insufficient production of the hormone erythropoietin. In pregnant women on dialysis, the requirement for erythropoietin may double. The dose of iron supplements also increases. Vitamin supplements and folic acid should be added. Overall summary : To increase the chance of a successful pregnancy , a pregnant dialysis patient must be prepared to increase the frequency of dialysis treatments, make frequent adjustments in medications as directed by her doctors, and be closely monitored by a multidisciplinary team including kidney specialists, obstetricians, paediatricians (specialises in child health) and dieticians.